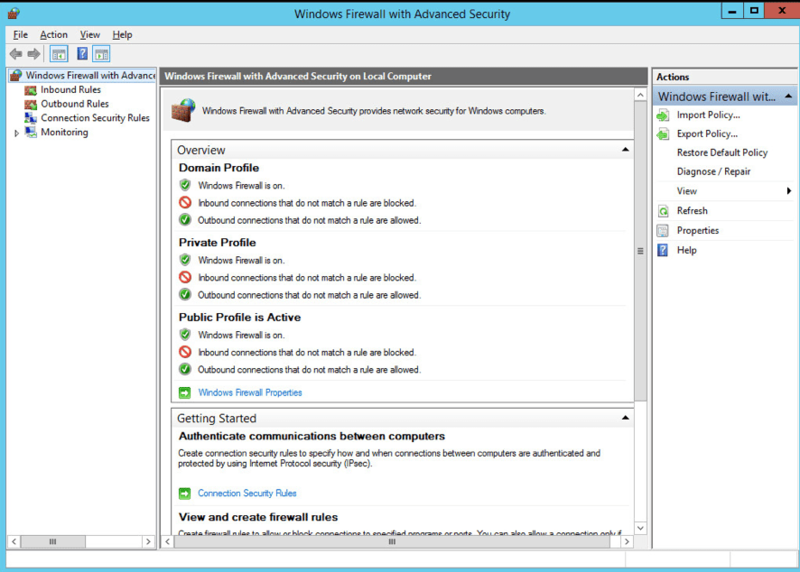 To use Parallels RAS on Windows Server 2008 R2 up to Windows Server 2016 with Windows Firewall enabled, a number of ports must be opened for the Parallels RAS components to communicate. For a detailed and complete list of all the ports that the Parallels RAS components use to communicate, please refer to the Port Reference section in the Parallels Remote Application Server Administrator’s Guide. Start your free Parallels RAS 30-day trial today! 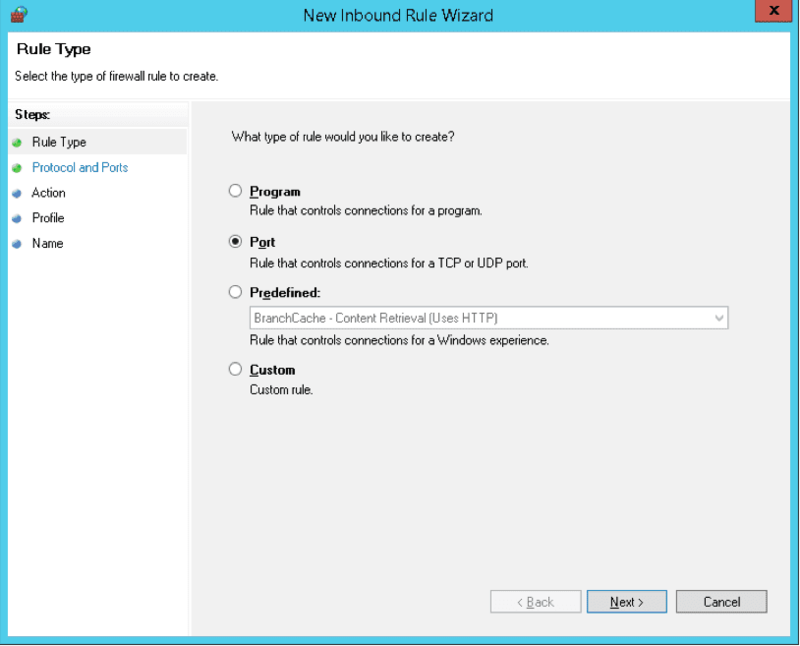 Inbound connections that do not match a rule are blocked. 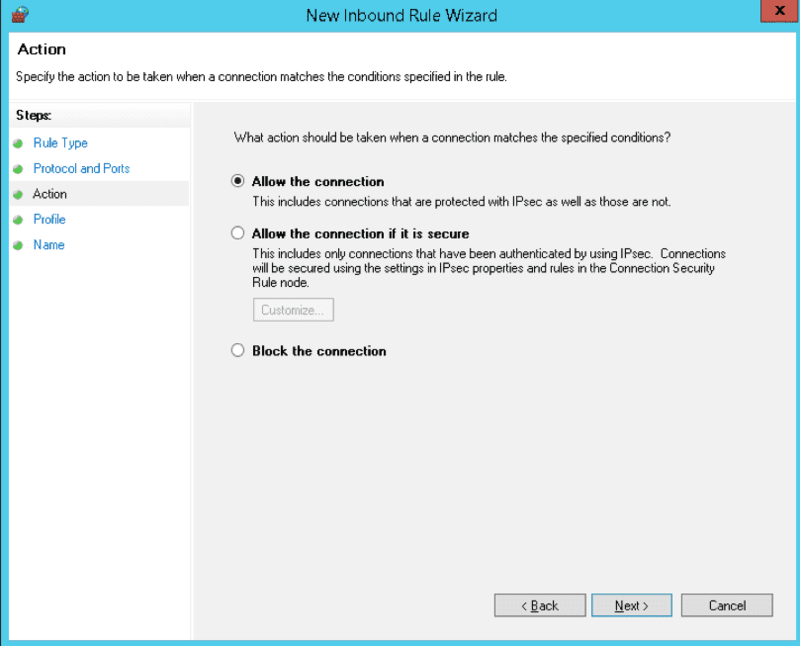 Outbound connections that do not match a rule are allowed. Since the Windows Firewall configuration is already set to allow all outgoing connections, only ports for incoming connections must be opened. 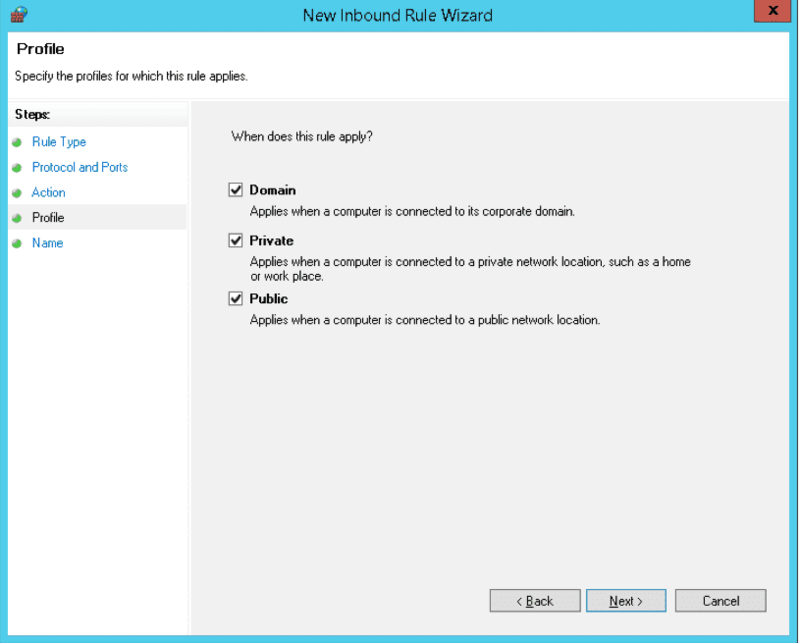 These must be configured in the “Inbound Rules,” as explained below. There are three different ways to open ports in Windows Server 2008/2012 R2 and Windows Server 2016. You can do so by using either the MMC, the command line (netsh), or PowerShell commands (just for 2012R2 and 2016). 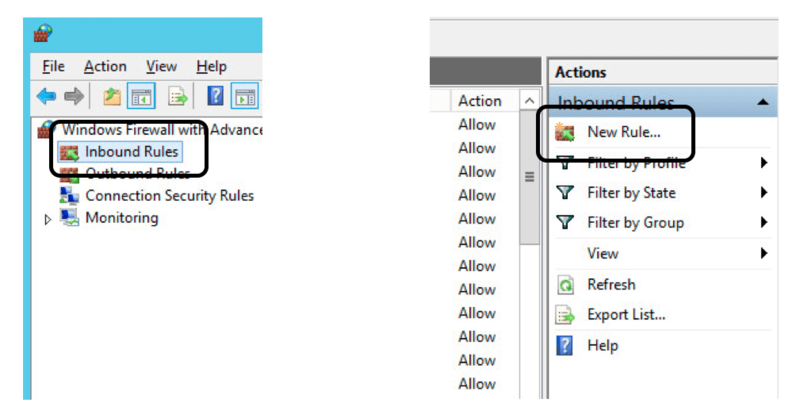 Click on Inbound Rules on the left of the MMC (Figure 3), and then on New Rule on the Right of the MMC (Figure 4). 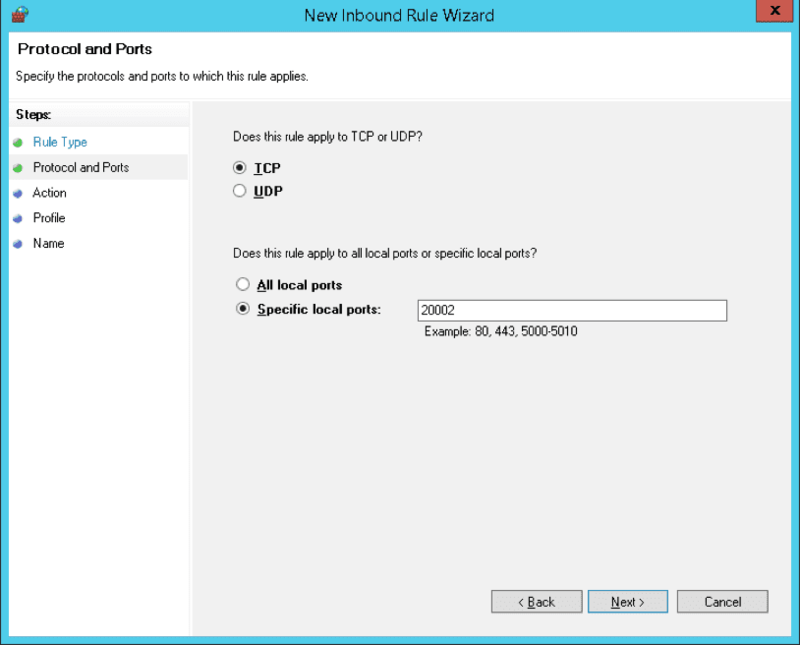 In the Rule Type section, select “Port” and click “Next”. In the Action section, select “Allow the Connection” and click “Next”. In the Profile section, select all three options and click “Next.“ If you wish to limit the connection to a particular profile, select only the profiles you think are appropriate to your setup. For this example, we will open the port on all profiles. In the Name section, enter a “Name” for this rule. It is recommended to list the port number in the name so the rule is easily recognizable. 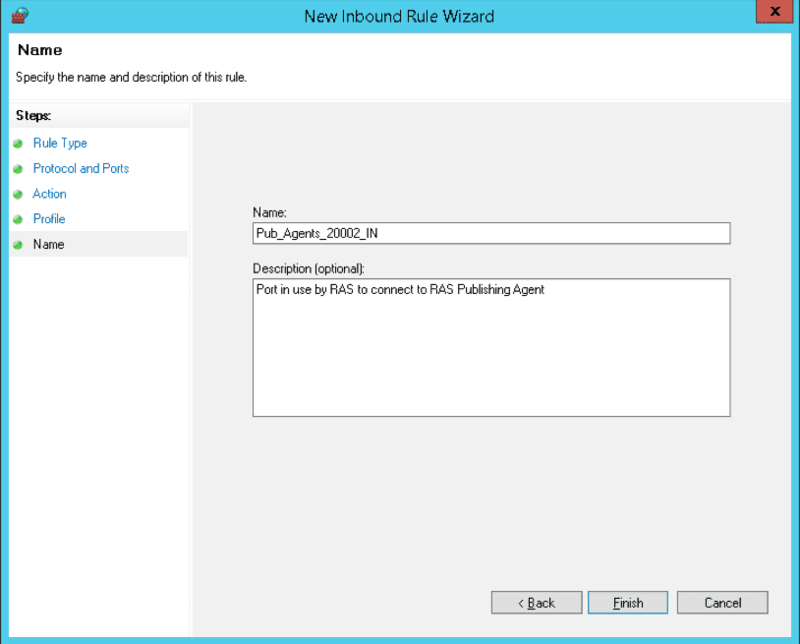 For example, name the new rule ”Pub_Agent_20002_IN”. Click “Finish“ when ready. Repeat the above procedure for each additional port and/or protocol you’d like to open in each server. Login to the server using an administrator account. To open additional ports, repeat the above procedure for each additional port and/or protocol you’d like to open in each server.